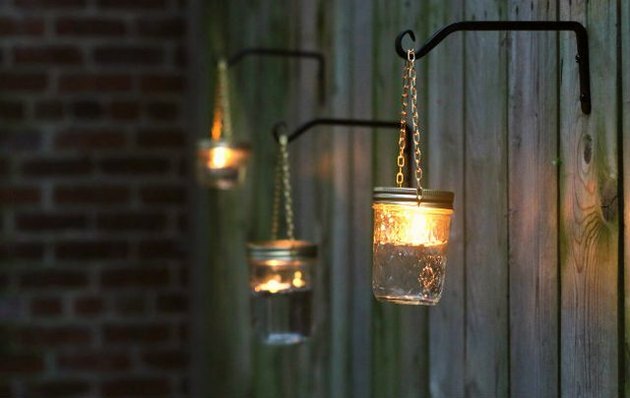 These simple floating jar votives suspended from garden hooks make for that perfect final patio touch, offering an inviting, soft glow that keeps the gathering going long into the evening. 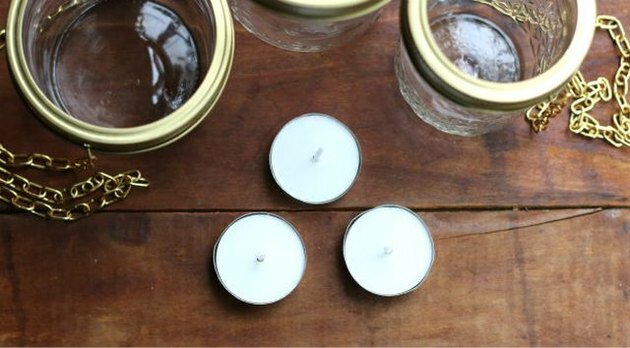 Consider using a handful of mismatched empty mason jars. The varied sizes lend to that overall rustic appeal. For this project, we opted to update the color of the jar bands to a shimmering gold to pair with the gold chains we'd selected. 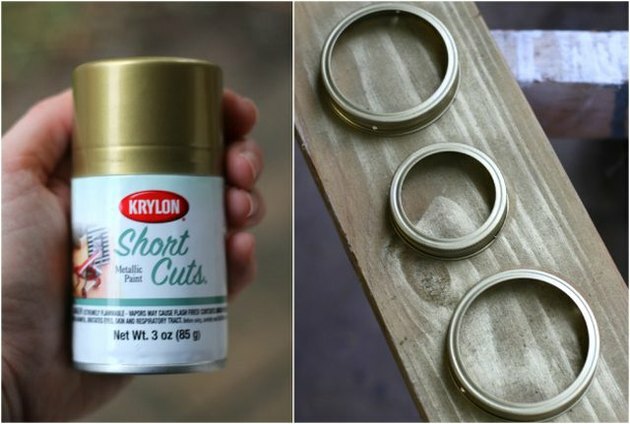 This step is optional and requires a few thin and even coats of spray paint. 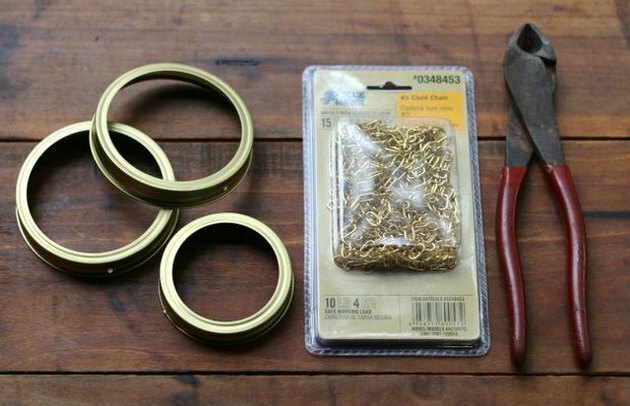 Using wire cutters, snip 8-inch long strips from clock chain and attach through the holes in the jar bands using pliers, to create hanging handles. We used #5 sized clock chain, because it's sturdy for holding the weight of the jars while still giving off a delicate feel. We found it at our local hardware store in the same aisle as regular chain and jack chain, which could just as easily be used for this project. 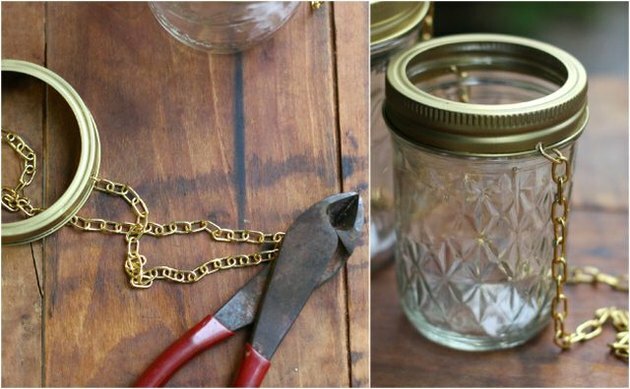 Twist bands around the jar mouths to secure, creating a hanging mason jar. 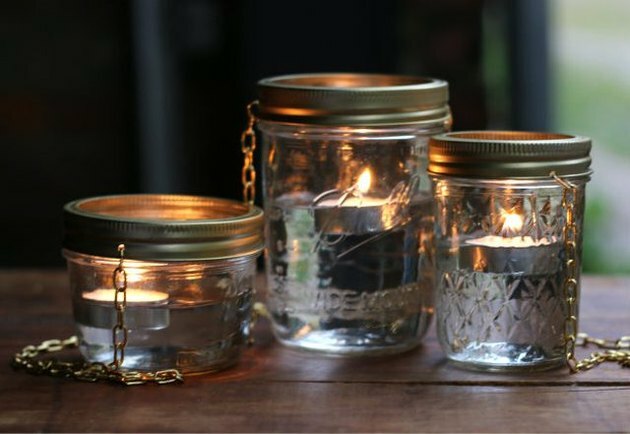 Fill jars about halfway with water, drop tea lights inside to float and light to create an instantly glowing group of mason jar votives. 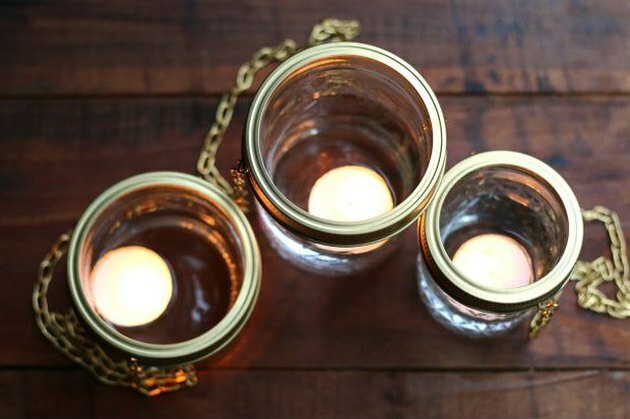 Cluster and use them just like this for an inviting indoor or outdoor centerpiece. 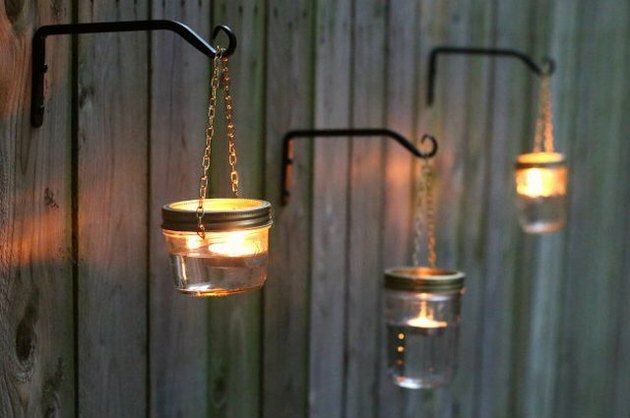 Suspend jars from garden hooks secured along a fence as hanging lanterns. We found these sturdy hooks (typically meant for hanging planters) in the garden section of our local hardware store for around $3 each. 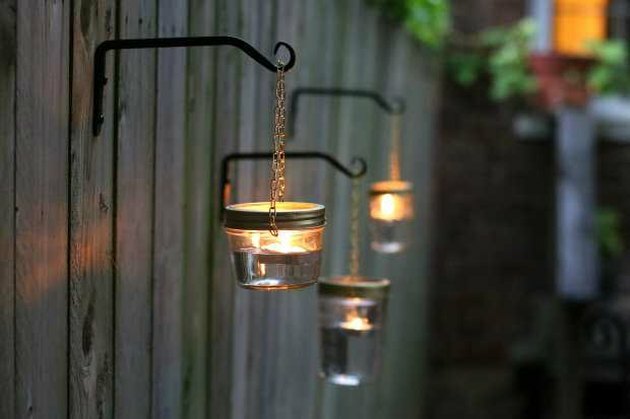 They give off a charmingly rustic appeal and luminous ambiance — watch them flicker like fireflies all throughout the evening.